You know you are destined for this life when you carry bitters in your handbag and geek out when Amazon delivers fruit garnishing knives. 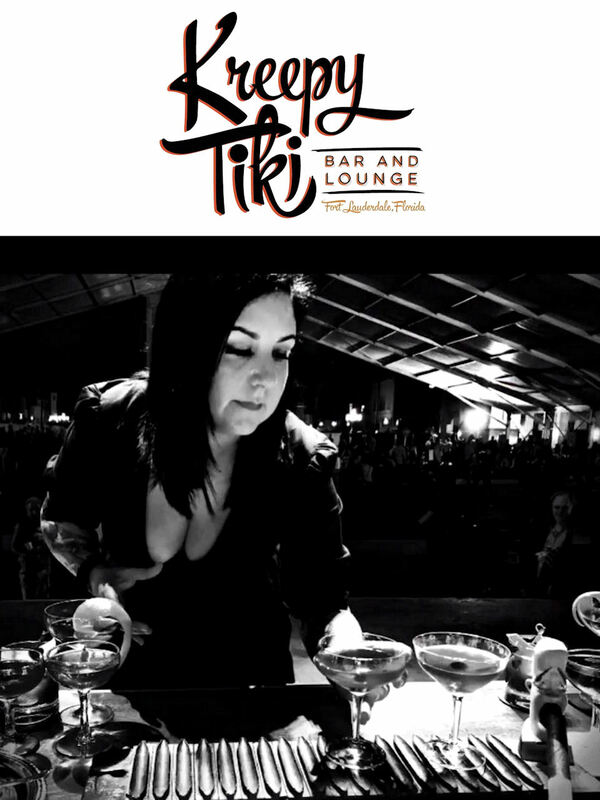 Ayme brings experience and family charm to the enchanting retro Polynesian themed Kreepy Tiki for a unique boutique experience featuring a tattoo parlor, eclectic music and nostalgia. Many of the tiki cocktails are based on original tiki drinks with a slight twist. All ingredients are fresh and homemade. Beware, one visit and you will be hooked. Known for… Ordering an Old Fashioned wherever I go, even bowling alleys. Your go-to Cocktail to serve… Anything spirit forward. Daiquiri, you can never go wrong. Must have garnish… An Orange. Essential Bar accessory… My Cocktail Kingdom Beachbum Berry Skull Bar spoon. Best Local Bar … Besides mine? 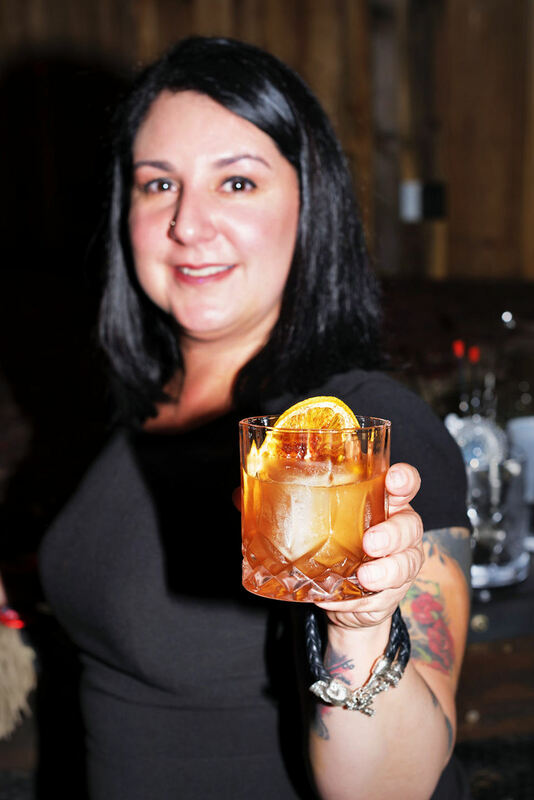 When I’m not at my bar, you can usually find me visiting my friends over at Valentino’s or Stache’s Whiskey Den. You are loving … You are loving …that summer is almost here and I can put my garden to good use. This time next year you’ll be drinking … Whiskey, neat. Get Social with Ayme on Facebook, Twitter and Instagram. Check out the Bar menu here. Photograph below by MRA Photography.